For a number of reasons, it’s always tough to get a full read on any speakers’ performance at a show, although the Estelon XA was the most interesting new speaker I heard this fall at the Rocky Mountain Audio Fest. 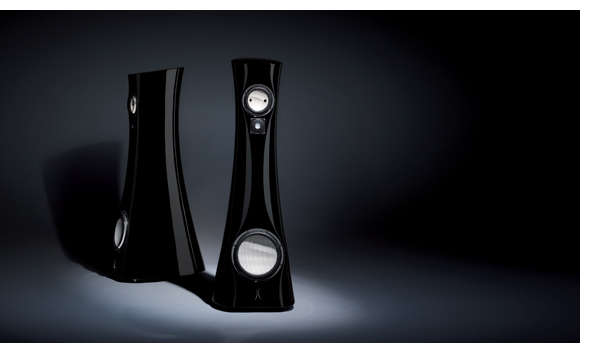 The seductive, curvy shape immediately caught my eye, and I paused on seeing the ceramic drivers. No sooner had my mind passed judgment that these were just another set of ceramic driver speakers that wouldn’t rock, I heard some fairly dynamic music and drew a different conclusion. Estelon designer and founder of the company Alfred & Partners, Alfred Vassilkov has been creating speakers and crossover networks for other companies for the past 25 years, and he is finally bringing a product to market under his own name that is 100 percent his vision. When the concept for these speakers was born in 2006, Vassilkov faced a dilemma: there was no enclosure material available that would suffice for his ultimate design. Now, with a new marble-based composite material that Vassilkov has patented, his concept has been born. This exotic, computer-modeled shape is cast as one solid piece, much like the monocoque tub for a Formula 1 car, and then coated with multiple coats of an automotive finish. 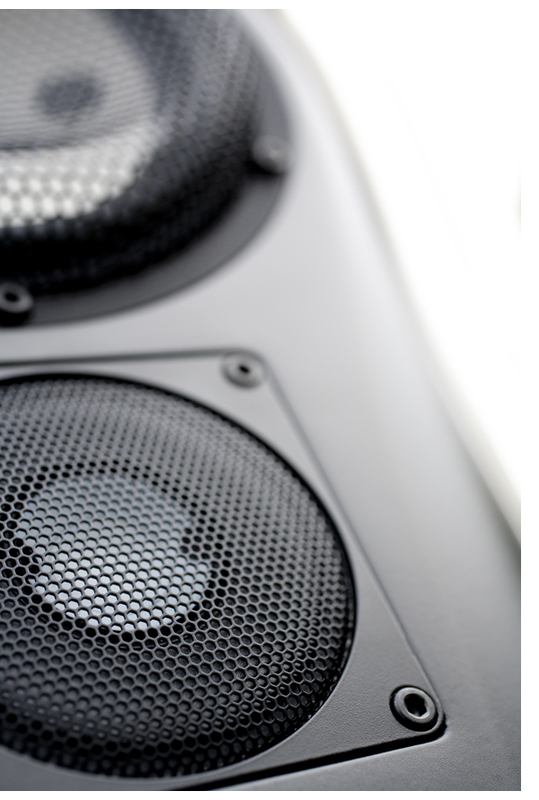 The Estelon speakers are available in gloss or matte black. Our review pair arrived in the matte finish, which looks similar to the matte finish on the newest models from Lamborghini and Range Rover. While robots were initially employed to apply the finish, they could not produce cabinets that were up to Vassilkov’s high standards, so the robots were abandoned in favor of some highly skilled humans. The photos truly do not do these cabinets justice; the matte finish is seductive in person. The Estelon XA is a three-way design, using all-ceramic Accutron drivers, a 1.2-inch tweeter, a 7-inch midrange and the latest 11-inch woofer. They have a single set of binding posts and weigh about 190 pounds each. MSRP is $43,900 per pair, which includes delivery, setup and a pair of custom-made flight cases that are laser cut on the inside to fit the speakers snugly. 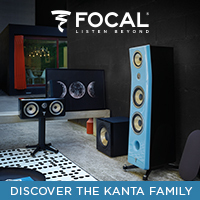 Though the XA’s are a little tougher to move than a traditional wood speaker because of their curvy shape and slippery finish, they shouldn’t take long to place in your room. My listening room is 16 feet deep and 24 feet wide, and while I began my listening where my GamuT S-9’s normally reside, the final placement ended up just slightly further apart, with the Estelons just over 10 feet from each other (tweeter center to tweeter center) and the front of the tweeters about 40 inches from the rear wall. Vassilkov and his European representative, William McIntosh, were kind enough to visit my studio and double check my setup. After about an hour or so of their attention to detail, we were all convinced that the speakers were performing to the best of their ability in my room. Their large base made them easy to slide around on my carpeted floor, and once the optimum spot was found, fitting the spikes gave the anticipated last bit of bass performance. Minor movements of an inch here and there during the next few days after Alfred’s visit only confirmed that we had the speakers in the right spot in the first place! 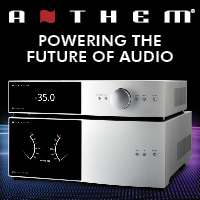 The XA’s have a sensitivity of 89db/1watt, 4-ohm impedance and a suggested range of amplifier power from 20 to 200 watts. They are indeed very easy to drive and I had no problem getting great sound with my freshly restored C-J MV50 tube power amplifier that only produces 45 watts per channel. 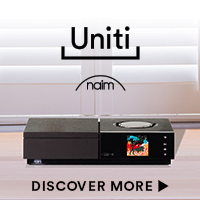 Again, thanks to the chameleon-like characteristic of these speakers, you will be able to enjoy whatever kind of amplification you have, so you won’t have to go amplifier shopping to accommodate your new speakers. 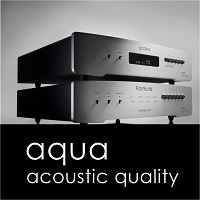 While about eight different amplifiers were used in the evaluation, the majority of my listening was done with the solid-state Burmester 911 mk.3 (and later a pair of 911’s) and the all-vacuum-tube Octave ME 130 monoblocks. 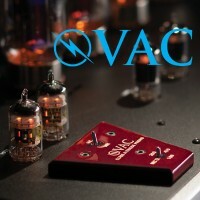 I found these amplifiers to be extremely tube friendly and easy to fine tune with different cable. I tried the latest from Kubala Sosna (which is also used for internal wiring), Cardas Clear, AudioQuest Sky and my reference Shunyata Aurora cable, all with excellent luck. Each cable set exhibited its own characteristics, and each seemed to suit a particular amplification choice slightly better than the other, making the XA’s easy to fine tune to perfection. I found their lack of coloration, while maintaining a high level of coherence, the XA’s strongest suit. As a panel-speaker enthusiast, coherence is one of my biggest hot buttons, and the XA’s delivered this in spades. Precious few cone speakers that I’ve heard at any price can truly pull this off, so I came away highly impressed with this aspect of these speakers’ performance. In the past, other speakers I’ve heard with the Accuton drivers have never floated my boat, for lack of a terribly technical description. 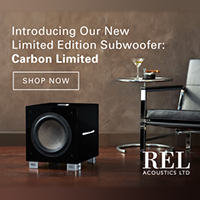 They either have sounded too forward or somewhat restrained; great with classical music at moderate level but not a speaker that could really rock out with conviction. The Estelon’s shattered this belief; they always maintained a balance between being resolving yet natural with the ability to play any music as loud as I wanted to. As someone who typically listens to music in 8-12 hour shifts, a fatiguing speaker will reveal itself quickly, and the XA’s passed this test with flying colors. This is a wonderfully open speaker that you can listen to for days on end. 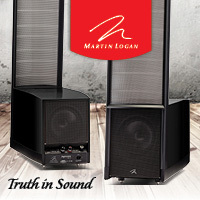 I was reminded of the MartinLogan CLX’s time and time again because of the XA’s transparency and ease of delivery. One of the first test tracks queued up was Tom Jones’ “What Good Am I,” from his current album, Praise and Blame. Jones’ voice is closely miked and this is one of those recordings in which you can hear him breathing in the room, full of emotion. It’s a sparse arrangement, with Jones accompanied by acoustic guitar and a pounding kettle drum that will rattle your ribs if your system is up to the task. The XA’s excelled, reproducing this drum with the necessary texture to avoid the “one-note bass” effect, capturing the attack and decay with ease. Before investigating a few more of my favorite bass-laden tracks, one more Tom Jones cut was in order, “Style and Rhythm” from his last album, 24 Hours. Though not as exquisitely recorded as his current record, this is a great track to crank up loud and dole out some speaker punishment. With a pair of Burmester 911 mk. 3’s in monoblock mode and about 800 watts per channel on tap, it was no problem even at ear splitting levels. 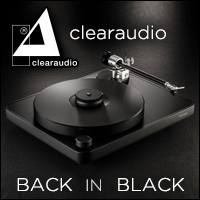 After running through the usual bass test/torture tracks, including everything from the Telarc 1812 overture LP to my favorite electronica tracks, the Estelon XA’s remained unrattled. There was nothing I could throw at these speakers that caused them to stumble. Because the ceramic tweeter is very revealing, you may find that less-than-exceptional electronics are not up to the task. I assure you that after living with these speakers for some time and auditioning everything from a vintage Pioneer receiver all the way up to the Burmester 911 monoblocks, I could hear exactly what my gear is capable of producing, especially in the upper registers. I would categorize the upper-frequency tonality as revealing and perhaps ever so slightly forward, yet without grain. A little too much zip in the cable or amplifier realm might be too much of a good thing with the XA’s, but warm and gooey isn’t the answer either; this only makes the speakers sound slow and muddled. Again, the ESL-like speed of the XA’s gave cymbals the correct amount of tone and decay without sounding harsh or overly brilliant. Art Blakey’s drumming on Lee Morgan’s Tom Cat was sublime through these speakers. I was grinning ear to ear after listening to a large selection of my favorite Blue Note remasters; these speakers definitely reveal the truth. 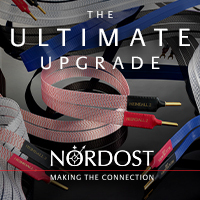 Every audiophile has their hot button. Some want pinpoint imaging, others want subterranean bass and 10 others want something entirely different. But for me, a speaker lives and dies with correct midrange. Of course, all of the other aspects of HiFi reproduction are great fun; I just can’t live with a speaker long term if it can’t get the midrange as close to perfect as possible. 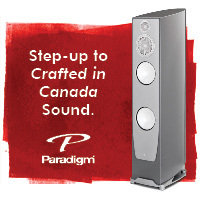 Without a boring you with the minutiae of a long punch list of favorites, suffice to say that these speakers nail the midband, another testament to a perfect integration of cabinet, crossover design and careful choice of drivers. Upon listening to “Lay Your Hands on Me” from the 45 rpm, 200-gram Clarity Vinyl pressing of Peter Gabriel’s Security, Macintosh remarked, “I”ve never heard that track sound this good.” This is the level of tonal accuracy that justifies the five-figure price tag. The Estelon XA’s provide engaging performance at any volume level, another aspect that can be attributed to the world’s finest speakers. Even when listening to music that you could easily speak over, the stereo image does not collapse and there isn’t a volume level that the speakers suddenly “come alive.” While there is a definite level at extremely high level that the speaker finally starts to compress, it is much higher than is reasonable and prudent for 99 percent of us. The one thing that could lead to trouble with these speakers is that they are so clean right up to the point where the stereo image starts to flatten; they might be damaged by an amplifier that does not have a lot of clean power in reserve. If you really like to rock, pay careful attention to your choice of amplifier and err on the side of too much rather than too little power. Come to think of it, when rocking out, can you really have too much power? The outstanding MoFi pressing of Marvin Gaye’s “What’s Going On?” will tell you everything you need to know about the low-level dynamics of these speakers. At the beginning of the track as Gaye is starting his intro rap, you can hear a number of other people in the background, all on different layers, and when he starts to sing, the myriad vocal layers are easily distinguishable. Again, this is in full effect from low to high volume. The lack of grain and overhang that the combination of drivers, crossover and cabinet contribute (or perhaps distract from) the presentation is instantly apparent while listening to violin and piano. One of my favorite test records of recent months is The Jung Trio: Dvorak Trio In F Minor Op.65, available on SACD or 45 rpm LP from Groove Note Records. 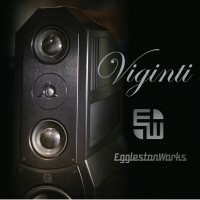 The speed and tonal purity required to reproduce the violin and piano are one of the greatest challenges to a speaker system, provided the electronics are up to the task. The XA’s played this recording flawlessly and was one of a very short list of speakers that almost fooled me into thinking these ladies were performing in my room. Depending on whether your taste in music takes you to a heavy-rock band or a full-scale orchestra, you will not be disappointed in the XA’s with either type of program material. I had just as much fun listening to Mahler as I did Van Halen, and I never felt that the speakers were running out of juice. Though Alfred & Partners is a new company, it comes built on years of experience in the field. The fanatical attention to detail shows what can be accomplished when a great driver set is combined with cutting-edge materials and design. 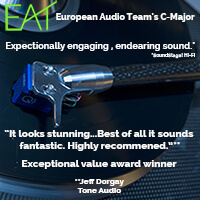 We give these speakers our highest recommendation and look forward to listening to some more of Estelon’s creations in the months to follow. 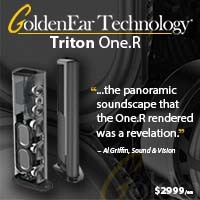 This is a pair of speakers that I could not fault in any way, no matter what music I listened to. 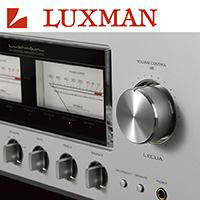 And if you’d like to get a substantial helping of what I heard during my evaluation, stop by Estelon’s room in Las Vegas at this year’s Consumer Electronics Show, where the speakers will be showed with the same Burmester 089 preamplifier and 911 mk. 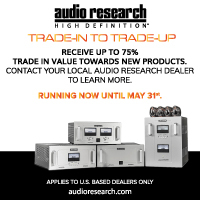 3 power amplifiers that were used for this review.